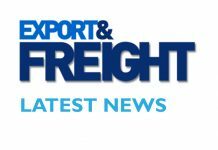 We are not unfamiliar with the Iveco Stralis, so when the opportunity came along to get behind the wheel of the relatively new XP, described by Iveco as ‘the most reliable and fuel-efficient truck on the market,’ we naturally had to take them up on the offer, as Export & Freight’s Garfield Harrison reports. 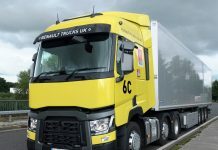 The new XP was developed specifically to meet the requirements of the international long-distance transport business – efficiency, ( we are told that its new features can generate fuel savings of up to 11%), sustainability and low total cost of ownership. 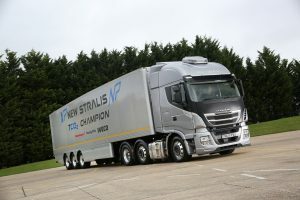 Building on the successful foundation of the Stralis Hi-Way, with this next-generation truck carrying over the best aspects of its predecessor – in particular the range-topping Hi-Way cab – the XP features a completely renewed driveline, new electric and electronic systems, a best-in-class transmission, rear axle and rear air suspension, and a re-engineered engine. 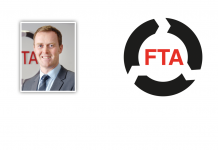 The latest-generation GPS predictive functions are also integrated with a host of new and innovative fuel-saving features, alongside a unique range of services designed by Iveco to maximise reliability and reduce carbon dioxide emissions and operating costs. 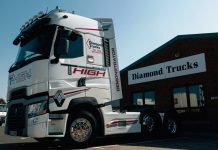 On climbing into the cab of our test model – the 6×2 AS440S48TX/P XP artic, powered by a 480hp Cursor 11 engine – we knew right away that this was a truck with vast driver appeal, with car-like features including top-level comfort, safety and infotainment combining to provide an excellent working environment. 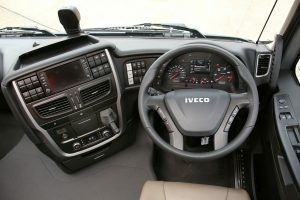 Features include a steering wheel with pneumatic adjustment and integrated controls, a heated and ventilated driver seat with height-adjustable seat-belt, a Hi-Comfort bed, 80cm wide and over 2m long, with wooden slats and reclinable backrest, a fold-away top bunk with air-sprung opening system, and a low-consumption night air conditioner built into the roof panel – plus over 30 drawers and storage compartments, with the option of a 50-litre maxi-fridge for long-distance missions. The dashboard of the truck is ergonomic and functional, made with homogeneous materials to prevent squeaks and rattles. The driver can easily and safely reach all controls without moving away from the seat’s backrest. Indeed, a good quality of life on board is essential for anyone who makes long trips, which is why, say Iveco, all the contents of the vehicle have been designed to make the driver’s journey more comfortable – and that includes the Iveconnect system with CD player, radio hi-fi and touch-screen display which also runs the Driving Style Evaluation function, the navigation system and advanced telematics services. On the Hi-Way cab the Iveconnect is integrated into the central stack of the dashboard so it is easily visible and accessible. Having spent some time in the driver’s seat, we can see where he was coming from; it really is a total joy to drive, handling superbly, smoothly and safely in all road conditions. It simply takes everything in its stride. In fact, it virtually drives itself! As Iveco proclaim, it bristles with fuel-efficiency-boosting features, which are offered as standard. 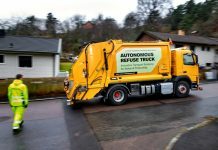 These include Smart Auxiliaries that automatically disconnect or go into energy-saving mode when they are not needed, while Iveco’s predictive GPS-based Hi-Cruise system controls driving assistance functions such as eco-roll, gear-shifting and cruise control. 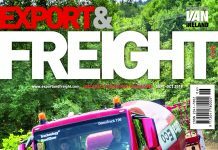 The 12-speed Hi-Tronix automated transmission, EcoSwitch speed and torque limiter, optimised rear-axle ratio, and low-rolling resistance Michelin X Line Energy tyres all deliver, as Iveco rightly claim, a winning combination of efficiency and safety. Other state-of-the-art safety and driving assistance features available to protect the driver, to make their work easier and to be more productive include EBS + BAS (Electronic Braking System + Brake Assistant System), ESP (Electronic Stability Program),Hill Holder, which stops the vehicle from rolling back after the brake pedal is released, Intarder which augments the functions of the primary braking system to slow down the truck, and the self explanatory Lane Departure Warning System. 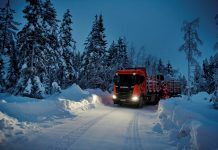 Yes, this new Stralis is not only a high end workhorse that would easily and rightly take pride of place in any operator’s fleet, it is also a driver’s dream, and absolutely perfect for the cost conscious long distance haulier.